Some may remember spending one evening a week, in the year 1988 curled up close to the TV to listen to masterfully told stories. Whether it was a folk tale from Germany or a fairy tale from Russia the show would take an existing story and re-tell it through a mix of narration and live action. 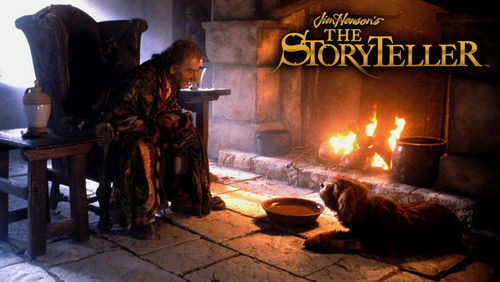 Created by Jim Henson and directed by Anthony Minghella, (director of The English Patient and Cold Mountain), The Storyteller won multiple Emmy awrds. In 2011 some of the stories from the show and many new stories were translated in the same fashion in a beautiful graphic novel. 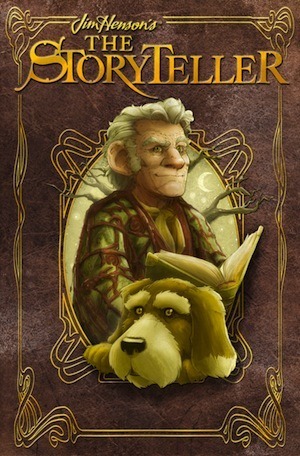 The collection expands the range of stories to include Scandinavian, Chinese, French and Japanese stories. Each story is told by a different artist so although they all use the same traditional Storyteller fashion, they each have a tone and overall theme that remains consistent. The difference in styles and colors is just as diverse as the stories themselves. This gorgeous book is set to be released in a paperback edition in August of this year. It’s a beautiful collection for parents and grandparents to share with their children and for any reader who appreciates a well spun story.